Many people are confused by terms used to describe cognitive changes in late life. Are dementia and Alzheimer’s essentially the same? Is one more severe than the other? What does “mild cognitive impairment” mean? We often get these questions from patients, families, and students. In this article, we look at these questions and offer warning signs that help determine when to seek help and some tips of what to do if a relative seems to be having cognitive problems. Dementia is an impairment in memory and / or other cognitive abilities that represents a decline from a prior level of functioning. Other cognitive abilities that can be impacted include language skills (e.g., difficulty finding words while speaking), visuospatial ability (e.g., difficulty navigating or finding items at home or in a store), and executive functioning (e.g., planning and problem-solving). People typically pass through a stage of mild cognitive impairment (MCI) before their cognitive abilities decline to the extent that their symptoms indicate the presence of dementia. MCI refers to a decline in one’s memory or other cognitive abilities that is not severe enough for one to depend on others for everyday activities like financial management, driving, managing medications, or preparing meals. 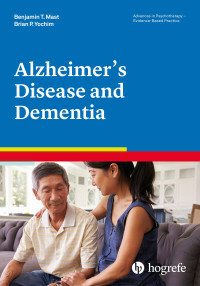 When one becomes dependent on others for instrumental activities of daily living such as these, she or he is more likely to be diagnosed with dementia. MCI or dementia can be caused by a variety of neurological conditions, and the most common cause is Alzheimer’s disease. It is important to understand that the terms “dementia” and “MCI” refer to symptoms that are caused by underlying conditions such as Alzheimer’s disease. Other common causes of dementia include vascular disease (including the gradual build-up of tiny strokes in the brain, or major strokes), Lewy body disease, or degeneration of the frontal and temporal lobes of the brain (i.e., frontotemporal dementia). Dementia and MCI are also known as major neurocognitive disorder and mild neurocognitive disorder in the DSM-5. What are some warning signs that someone is experiencing MCI or dementia? What can families do when they think a relative is showing signs of dementia? Sometimes the person experiencing the cognitive change doesn’t notice as readily as a close family member, and others become defensive. Try to make a plan together and include the person as much as you are able. Based upon the screening results, your doctor may refer you to a psychologist for further testing. This testing will provide information about strengths and weaknesses in memory and other cognitive abilities, which can help in making a diagnosis. Seek support and education from dementia organizations in your community. In the US, the Alzheimer’s Association has local chapters that you can connect with. Share what is happening with a trusted friend or family member. It is important to seek support from others. Take care of yourself mentally and physically. Caring for a person with cognitive changes can be stressful.